Last night, Kristin and I opened up a nice bottle Rioja and sat in front of a blazing fireplace. Candles were lit all over. We were having a lovely Valentine Day evening when my cell phone rang. It was Pawel, our neighbor. He said, “You have to look! 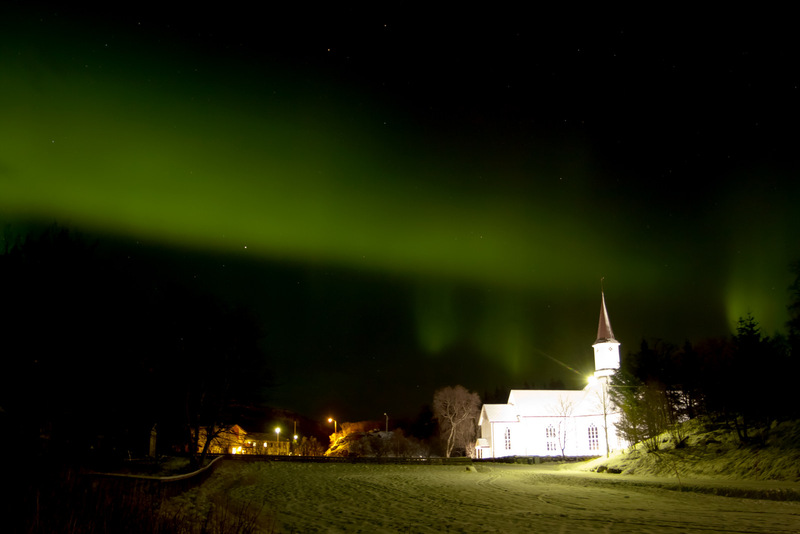 I’ve never seen it this big.” Earlier in the evening, we saw good — not great — northern lights, but I called Pawel anyway because I knew his wife really wanted to see it. Since then, his eyes had been peeled looking out the window until the sky exploded. Forget romance! Overrated! 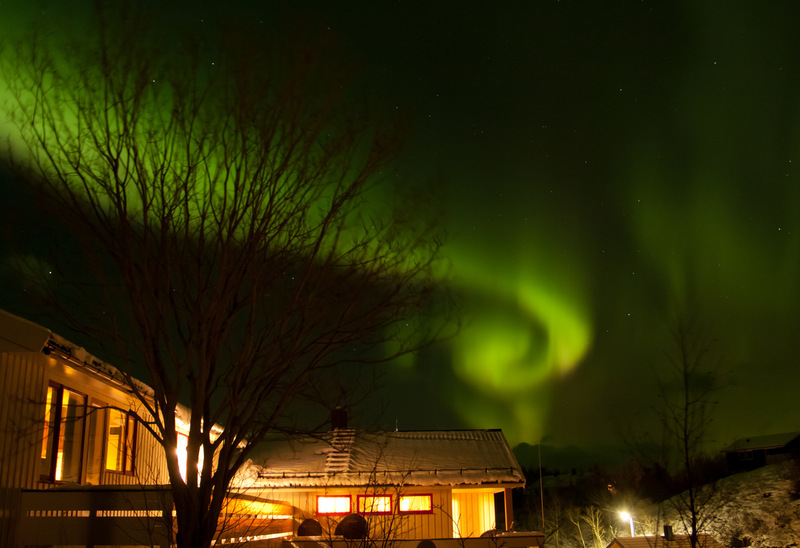 Who needs romance when there is northern light? 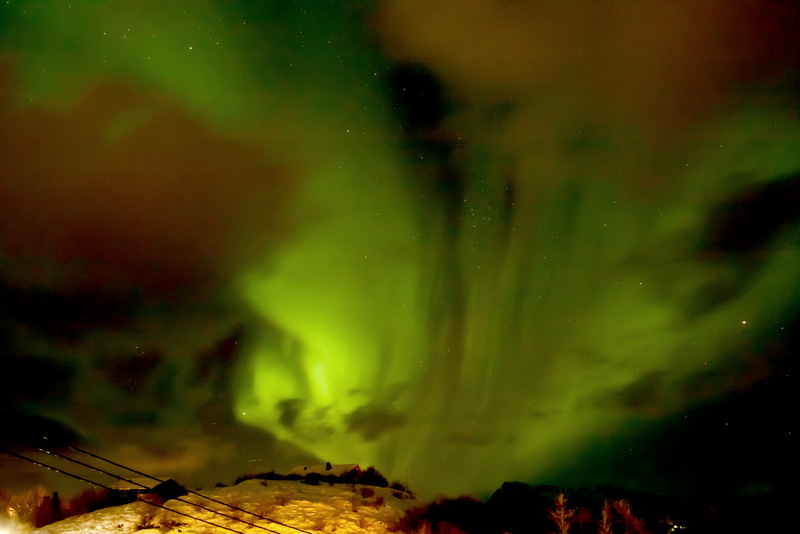 We donned our layers of clothing, grabbed the camera and tripod and rushed outside. 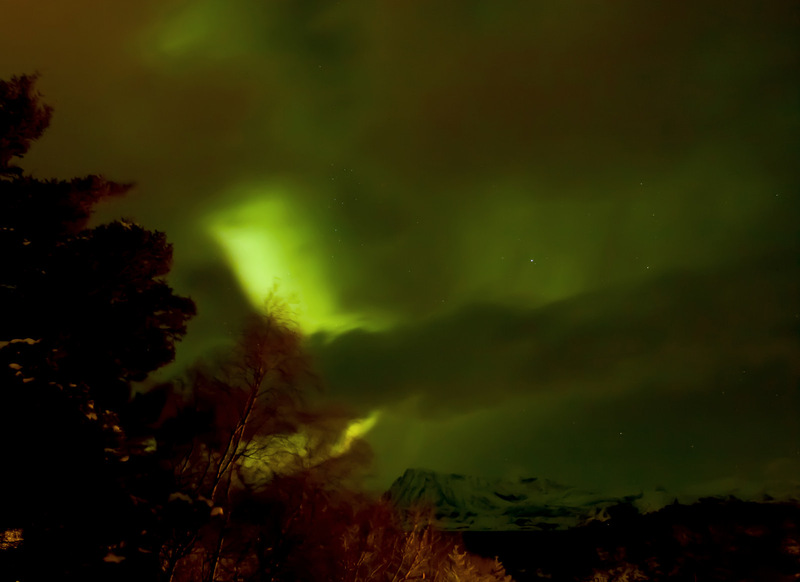 The sky was not clear, but the northern lights were so strong that they lit up the clouds. They danced overhead. Different colors besides green: red, purple, orange, flashed. I stood in the bitterly cold wind, holding my tripod with my camera mounted on it, not knowing if I should take lots of pictures or if I should just stare. 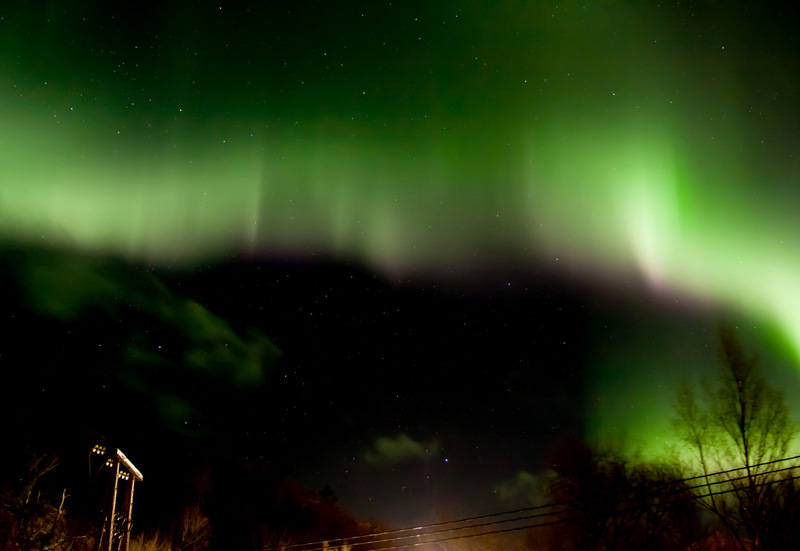 Living in Russia I’ve heard about these lights a lot from my childhood and saw a lot of pictures. Wish you have such Valentine day every year! Amazing shots! 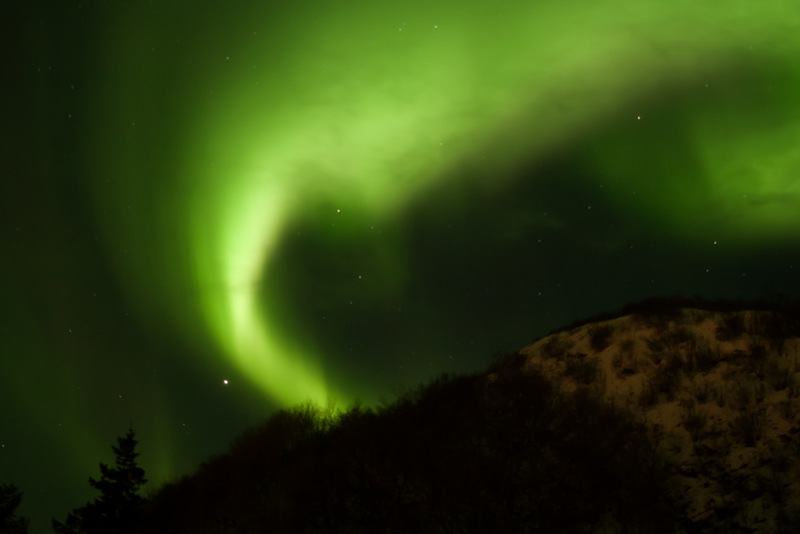 I would love to see the northern lights in person someday! It may not have been the Valentines’ celebration you had planned, but I’ll wager it’s one you’ll never forget! Thank you for sharing your photos and Happy Valentines’ Day!